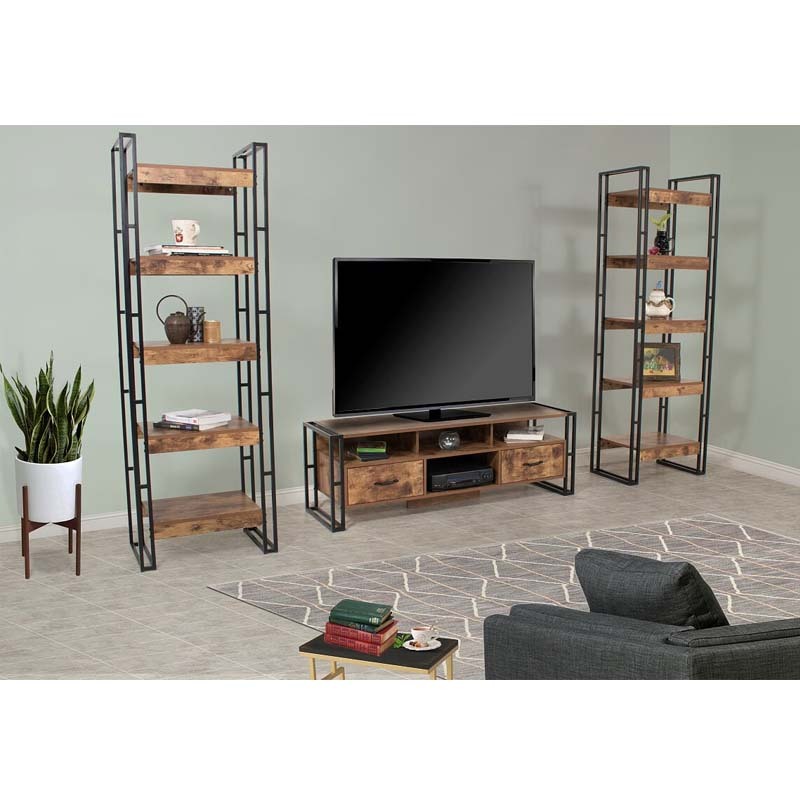 More on the Living Essentials Urban Line 60 in. TV Console (Rustic Wood) ULWRW0871 below. 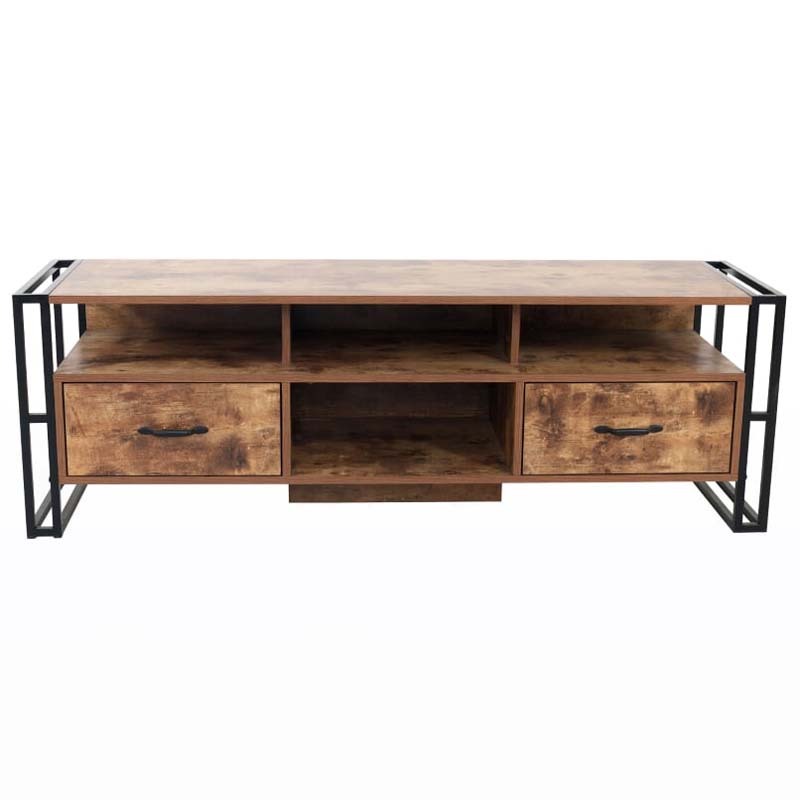 This media console exudes an industrial, modern vibe while also having various opportunities for storage. With four shelves and two drawers, this media console is sure to accommodate any item that you need or would like to display. 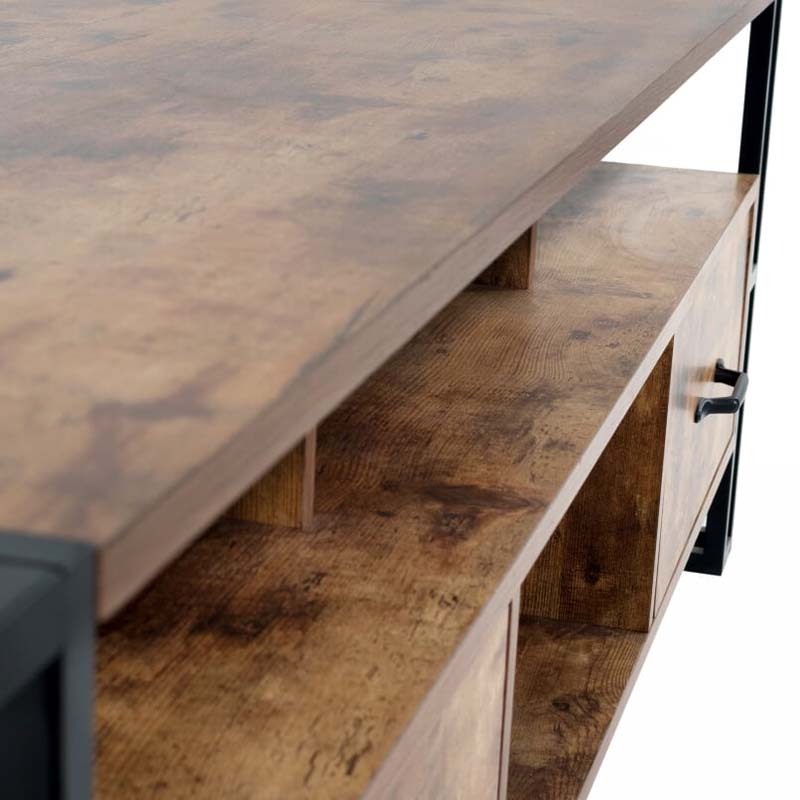 There is heightened craftsmanship in the black metal legs, sophisticated console profile, and bright pigmented wood finish. 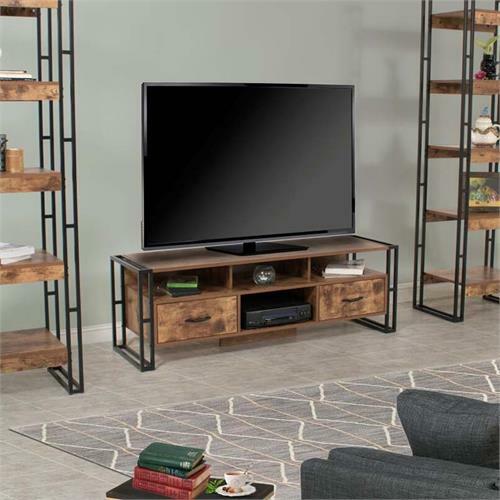 This media console is the perfect addition to any household with it's pop of vibrance, industrial feel, and endless storage options. 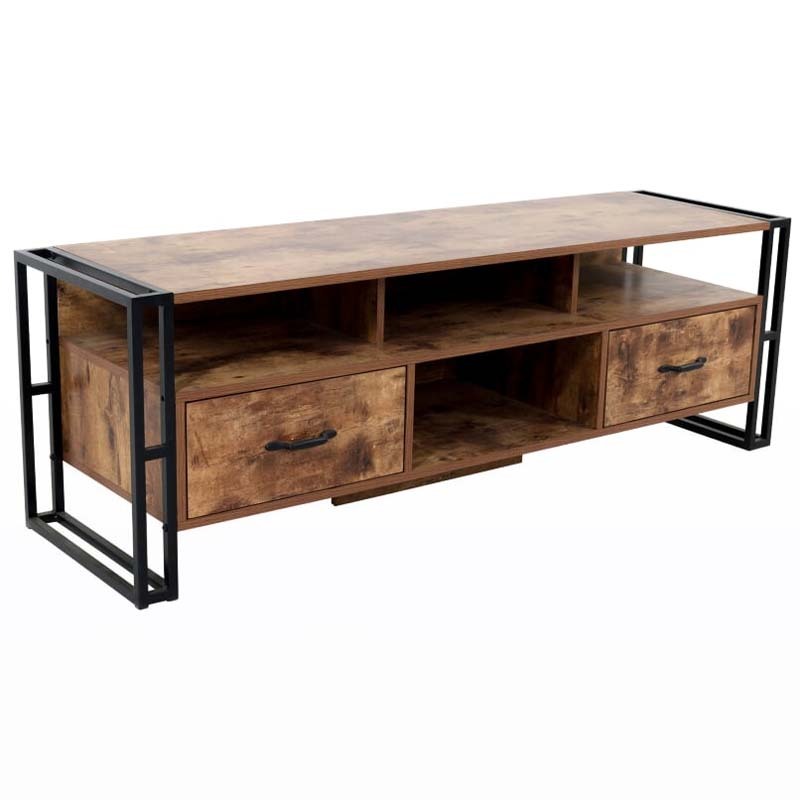 Additional matching pieces available in the Urban Line Collection, see related products below.